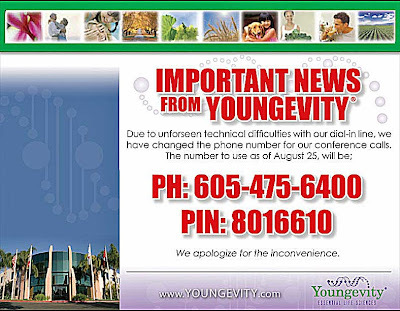 Labels: Youngevity Conference Phone Number. Included is a "Dead Doctors Don't Lie" Flyer with seminar locations for the week of August 23-28. 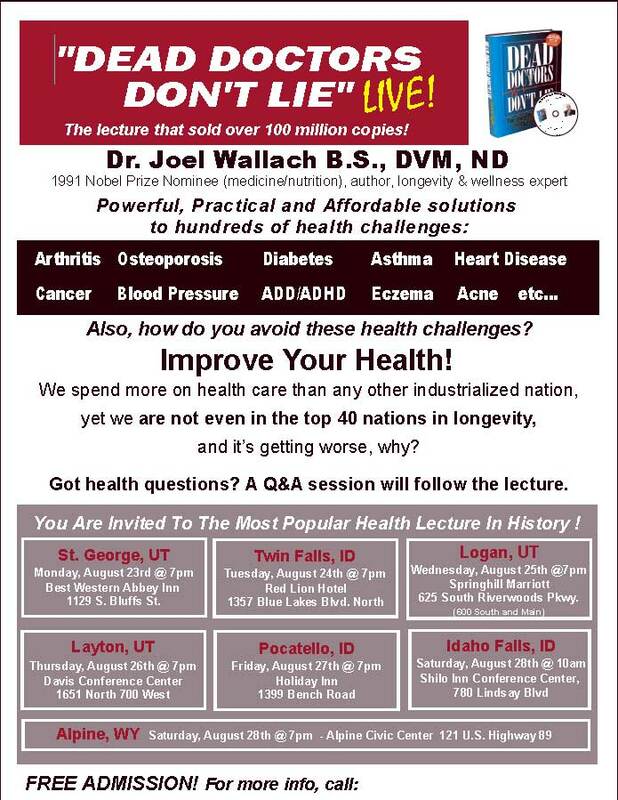 These are Utah, Idaho and Wyoming events. Click to make this larger.